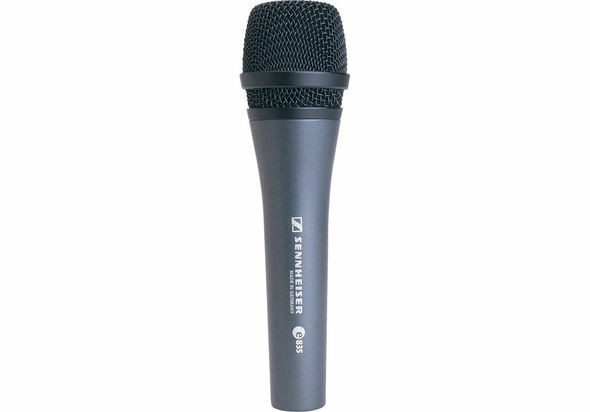 The Sennheiser e 835 is a lead, vocal stage mic, designed to perform under pressure. Uniform frequency pick-up pattern maintains signal quality when moving on and off axis during performance. Gentle presence boost to even tonal response ensures clarity and projection. Minimal proximity effect provides consistently clear bass and performance when singing closer to or further from capsule. Falcon ring - consistent sound over time. 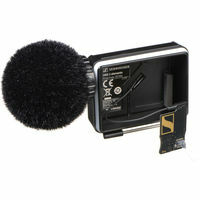 The Sennheiser e 835 is a lead, vocal stage mic, designed to perform under pressure. Uniform frequency pick-up pattern maintains signal quality when moving on and off axis during performance. Gentle presence boost to even tonal response ensures clarity and projection. Minimal proximity effect provides consistently clear bass and performance when singing closer to or further from capsule. Metal construction - rugged and reliable Shock-mounted capsule - low sensitivity to impact and handling noise Cardioid pickup pattern - insulation from other on-stage signals Hum compinsating coil reduces electrical interference Neodynum ferrous magnet with boron - keeps mic stable regardless of climate Falcon ring - consistent sound over time.